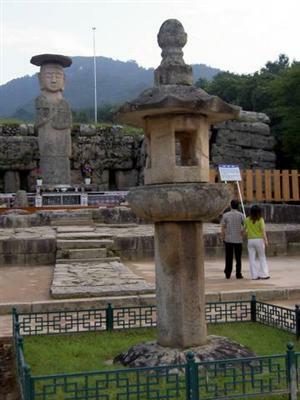 Last September 18, Chuseok day, the family went on an improptu trip to Mireukri, an old temple site in Woraksan National Park in Chungju City in the province of Chungcheongbuk-do (Chungcheong north province). We arrived there at 5:45 PM and it took us about 10-minutes to walk to the temple. This is the site of ruins of an old temple. Cornerstones and a Maitaeja stone Buddha can be found. 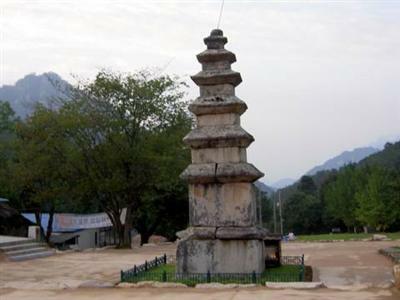 The temple is assumed to have been built in the early Goryeo Dynasty It was destroyed at least three times : during the reign of King Myounjong of Groyeo, the Japanese invasion in 1592, and the early 18th century. The standing Buddha statue, located Within the temple site of Mireukri, is carved out of a total of 6 rocks. This stone Buddha, also known as mai-taeja-sang, was carved during the Goryeo Dynasty. 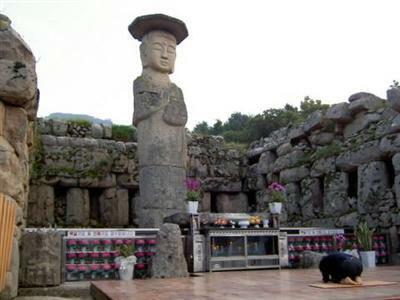 Like the rock-carved Buddha in Deokju, only the face glows white. Mireukri is actually a ruin. The temple itself was constructed during the Goryeo dynasty (918-1392 AD) but was destroyed three times: once during the Goryeo kingdom, then by the Japanese invasion in 1592 and finally in the 18th century. People flock here to see the standing Buddha which was built more than 1,000 years ago and was never destroyed. What makes this Buddha statue different is the way it was carved, crude and unsophisticated. And if you look at its face, it has kept itself clean compared to the body. 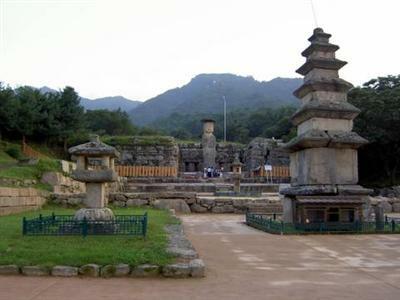 Presumed to have been built more than 1,000 years ago during the Goryeo dynasty period. We took a couple of pictures of what you can see at the ruined temple site. This is an interesting temple to visit that is rich in history. ayan ano magandang puntahan sa Chung-ju? imbes na nami-seom, naging Chun-ju, overnyt stay pa naman yun…..nu kaya gawin namin the next day?